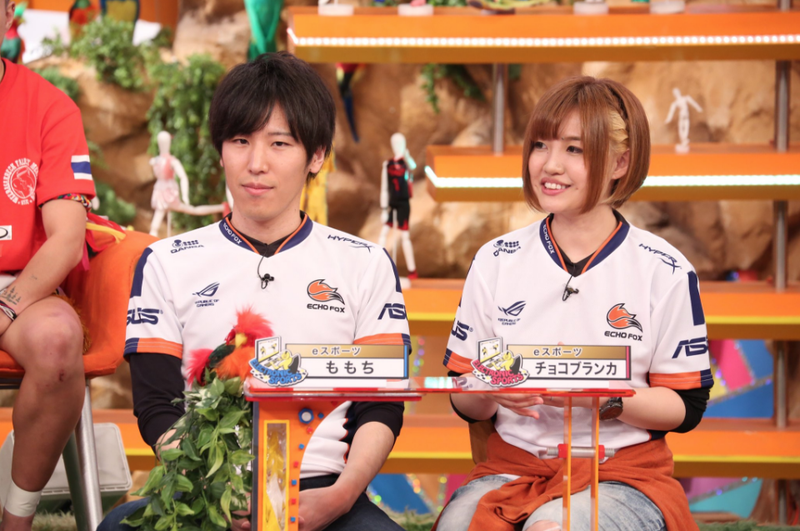 Yesterday, popular Japanese sports talk show Junk Sports featured Street Fighter pros Momochi and Chocoblanka. Professionally gaming still doesn’t quite get the respect it deserves in Japan, so for fighting game fans, simply seeing these two on mainstream Japanese TV was a big deal. Junk Sports features a handful of guests, and this episode featured famous athletes in a variety of sports, including those that are not well-known in Japan, including Shogo Kimura, who hopes to be the country’s first cricket pro, and Muay Thai champ Ayaka Miyauchi. The show is broadcasted on Fuji TV, one of Japan’s biggest television networks, and is hosted by Masatoshi Hamada, an icon of Japanese comedy. Since many people in Japan don’t know what esports are, the show had a quick explainer. The panel agreed that, of course, esports is a sport. Three-time weight world champ Naoya Inoue, who loves video games, didn’t exactly seem to know how to react. I get what Chocoblanka is saying or trying to say, as a deep understanding of counters and attacks is required for mastering Street Fighter. However, a different comparison would have been better as this one sells both boxing and esports short. Obviously, playing video games professionally is physically demanding and does take its toll on the body, but in a different way than boxing does. Unsurprisingly, online in Japan, the remark is being heavily criticized, with commenters saying it rude to make such a remark in front of a boxer. Maybe! But I’m sure Inoue will be fine. Chocoblanka then played a couple rounds blindfolded, saying that even though she cannot see her opponent’s movements, she can tell what’s going on by sound. It’s a pro-gaming party trick, sure, but didn’t exactly go as planned. In the first bout, Chocoblanka defeated Inoue, but in the second, she lost to soccer player Takashi Usami. For more on Junk Sports, check out the show’s official site.